Antony Sherwood has been pressed into service as a narrator for a mini-series on the early mystics in the church. The former narrator for the mini-series was killed in book four of this series. It is two weeks before his wedding and one week before Christmas. He is filming one scene when the cameraman has an accident, which could have had serious consequences. Fortunately, the cameraman is only mildly injured. Antony wonders if this was really an accident or if there is foul play at work. Felicity has her mother to entertain for two weeks until her wedding. She and her mother have always had a strained relationship, but Felicity really hopes this time together will help mend fences. Felicity has agreed to help one of the local church-supported outreach for children in putting on an Epiphany Pageant. She misses Antony when he has to go on location for filming, but puts her mind toward helping the children learn their parts in the play. As Antony continues filming, more “accidents” or near misses continue, leading up to murder. When Felicity goes under the stage in preparation for the play, she makes a grisly discovery. Antony is worried someone is out to harm Felicity, but leaves the solving of these crimes in the hands of the police. Felicity is counting the days until she is married and hopes no more murders occur. I have read all the other books in this series and enjoyed them, but this one wasn’t my favorite. There is a vague hint of a relationship between two women characters in the story that goes beyond friendship that could be interpreted as a homosexual relationship. While I appreciate the author’s knowledge of the Anglican Church and British history, there are too many Anglican Church terms that are not defined and a lot of church historical information that made the story more difficult to understand and slowed the pace. The first murder didn’t occur until I was over 100 pages into the book. It didn’t appear to me that Antony or Felicity did much to solve the murders either. I did like Felicity’s and Antony’s patience with Felicity’s mother as well as their wish to have a simple wedding ceremony, honoring God. I appreciated Felicity’s sense of peace as she participated in the services. I also liked the different scenery used in the story at the various filming sites. The author is very knowledgeable about her topic and I know lots of research went into writing the story, but this one was just okay for me. John McIntyre is intent on increasing the size of his ranch through buying land and cattle. He has no time to deal with his friend’s wayward sister, but feels compelled to help him out after he receives a letter from his friend. His friend’s sister, Rachel, is working as a dance hall girl at the town saloon and her brother fears for her reputation. John rides to town and takes Rachel to his ranch where he lives with his grandmother. He feels protective of her, but has his eye on a nearby wealthy young lady for courting purposes not a dance hall girl. He discovers there is much more to Rachel than just a dance hall girl; she is caring, compassionate and puts the needs of others before her own. 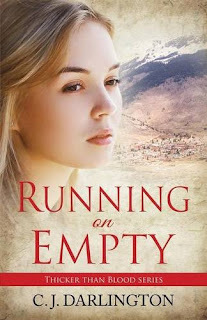 Rachel Matthews desperately needed a way to support herself after her brother leaves to try to find gold to buy back the family ranch after their parents’ deaths. 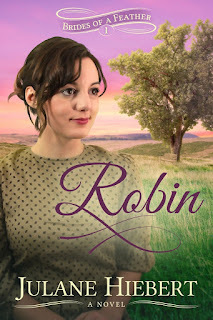 Rachel only knows cattle ranching, so she decides to work as a dance hall girl to support herself. She has no other options. After John forcibly takes her from the dance hall, she begins to realize she is better off at his ranch and working at his grandmother’s millinery shop. She enjoys her job and has three suitors; however, none of them make her heart speed up like it does when John is around. I just so appreciated the three main characters in the story constantly pointing to God for their blessings in every situation. Their reliance on prayer and God’s provision was evident throughout the story and I liked that aspect to the story. This book is an enjoyable way to spend an afternoon. The chapters are short and the print easy to read so the story quickly passes. I also enjoyed the author’s note, explaining some historical facts about things/people in the story. Book three is already in the works and the first chapter is included at the end to whet readers’ appetites! In Now and Always Yours, we continue to follow Shannon and Greg in their new lives now that Greg has been paroled. There is romance in the book and really deep meaningful conversations as various characters talked out their issues, both past and present. Shannon is now married and has her niece and nephew living with her as well as her own two children. Phillip is Shannon’s husband who shows Christ like unconditional love and an abundance of patience with teenagers and toddlers in the same house. Now Greg is starting life all over and not sure what the future holds. His dream of being paroled came early and the newness of being free has an adjustment period. Shannon’s receptionist and close friend meets Greg and sparks fly! 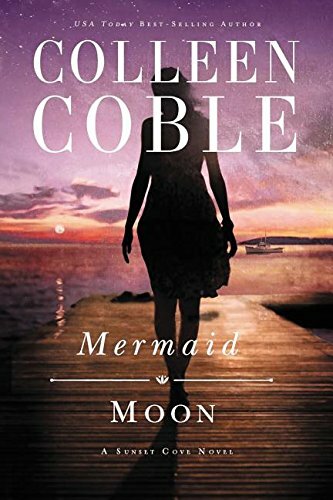 Celia was raised in a home with two parents and realizes it wasn’t normal or functional the way her father verbally abused and emotionally withheld love from his daughter. Throughout the book I kept realizing how the family takes time to be honest and talk through issues. The family takes time to eat together, share about their days and prayer together in the evenings. I also liked how when Greg realizes he likes Celia, he eventually talks to her about her own spiritual walk and reassures her that his love is not determined by her answer. There is wisdom exhibited in the book when two adults realize they are emotionally becoming close and plan to marry, but never cross the line before the marriage vows. Look and lean on Jesus, read the Word, pray and watch God do what only He can do! Enjoy the books too! 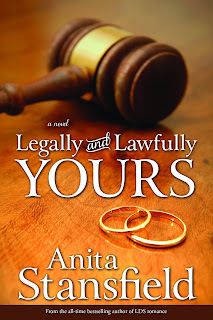 Legally and Lawfully Yours is a great tale of a brother (Greg) and sister (Shannon) growing up in a dysfunctional home and their experiences through the foster care system. 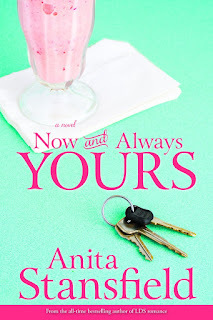 Afterwards, readers will enjoy reading how each character named above made choices that significantly impacted their lives while they remained close. Shannon comes to a crossroads in her life where she dreams of success being obtained and is startled to find herself restless. Greg’s two children, Neal and Jeannie, are in desperate need of their aunt’s help, but unable to contact her until Shannon shows up at the front door. At this point, the novel takes off, climbing in anticipation when Shannon carries out a plan called Operation Freedom. Now I am sure you have questions like why do Greg’s kids need help or what does Operation Freedom have to do with the novel? You see my reason for leaving out information is to draw you in and hope you will want to know of the story! The fun in reading is the journey and joy of discovering what a wonderful story is written by Anita Stansfield. I believe the author did a very balanced and truthful presentation of how there are pros and cons to the foster care system. One of them is that there are both good foster parents and bad ones. There are inferences to God, Bible study and many times of individual or family prayer. One of the themes I drew from the novel was the facing of life’s challenges with reliance on God and then others. I hope you consider taking an afternoon or two to enjoy this story, and then read Greg’s story in the sequel titled, Now and Always Yours. Revelation is the last book in the New Testament of the Bible and probably one of the most widely written about in nonfiction books. 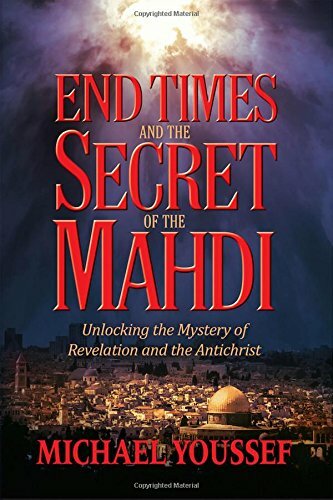 I wanted to read Michael Youssef’s book that looks at Revelation with the main three religions in the Middle East: Christianity, Judaism and Islam. Many know the Dome of the Rock is built on the land where the Tabernacle and Solomon’s Temple were built. I prayed before beginning to read the book so I would know what is true and aligns with the word of God, but also to be aware of new ideas or conclusions drawn by the author regarding Revelation. The author is someone who I never knew about or read his writing before. I can say he writes very simply for people to be able to grasp what he is teaching. I admire people who write like this, inviting readers to learn and converse with the author instead of writing at an academic level. Michael loves to share the gospel with people and in his travels he has come across a variety of people whose faith has wavered, perhaps was nonexistent or were open to the Bible’s message. Michael absolutely believes the Word of God to be inspired by God and without error, which is essential when studying, reading and being a Christian. Some of the people he has interacted with broke my heart as they didn’t take a firm stand based on the Bible, and being leaders they were endangering their flock. While there were some points made by the author I absolutely agreed with, some I wasn’t sure about and there were others I didn’t agree with at all. The point, however, is to go back to the Bible and like the author study Scripture using Scripture because it won’t contradict itself ever. Recent news events are used to show what Michael sees in Revelation as happening in the past, present and future. The book is a book that can bring hope and understanding while helping displace fears. Please read the Bible, keep it close with a pen and paper or notebook and see what God highlights for you as you study Revelation! 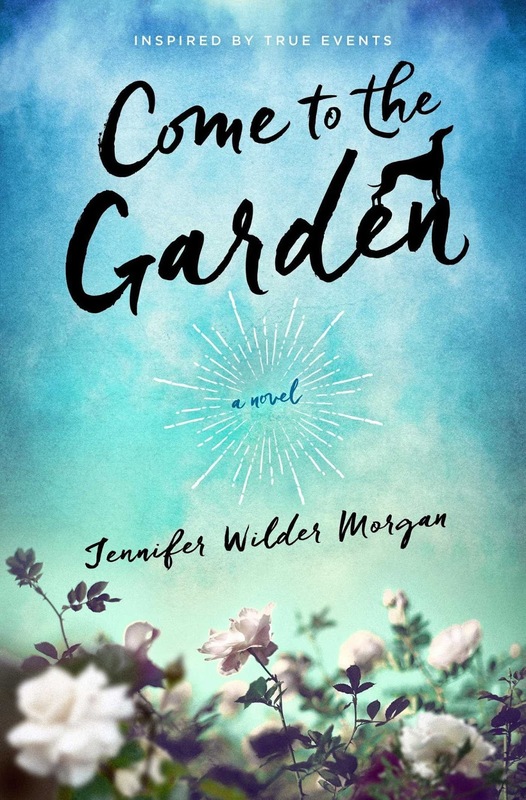 Come to the Garden is an allegory based on the author’s personal experiences in her walk with Lord from childhood to adulthood. 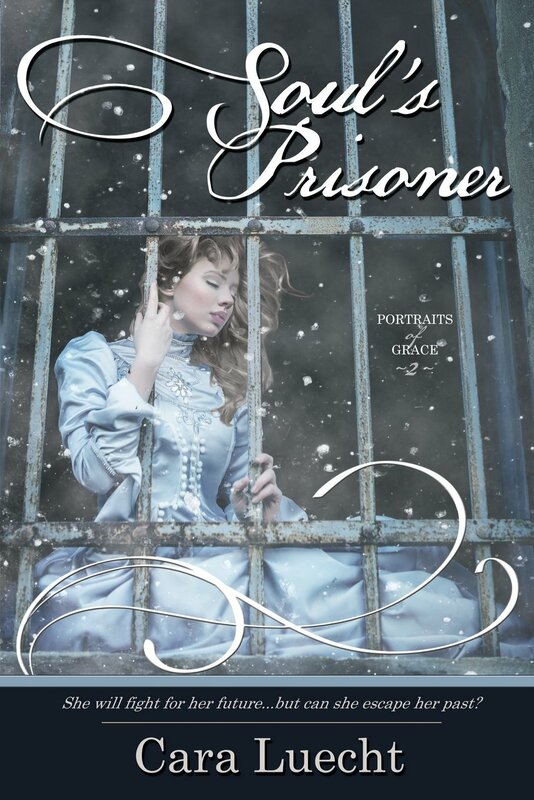 The story reflects how she has felt through various seasons of her life whether they were times of joy or sorrow. In the novel, the author tells of she felt God revealed Himself to her, spoke to her and walked with her through life. As a reader, I would have preferred a more direct approach from the author such as stating what the life experience was and then sharing what she learned. 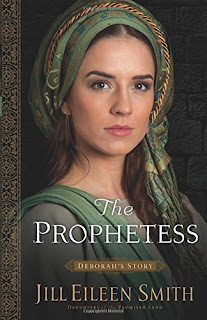 I think the author felt safer in beginning her ministry by sharing about herself through a story after she had experienced giving talks about her gifts. There is neither mention nor scene that shows angel worship at all and for that I am glad. In fact, the author writes in a way that shows her heart being focused on the Lord. 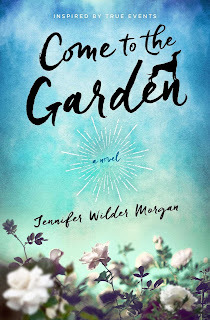 Come to the Garden is in some places for me somewhat unbelievable or shallow. I read the story in one afternoon; it doesn’t take a lot of time. The author is passionate about studying the Bible and writes studies for groups. There were a few places where I am not in agreement with the author’s apparent doctrinal understanding on a theme represented in the work of fiction. Sometimes the author wasn’t clear on exactly what lesson the Lord wanted her to hear, but overall it was a good afternoon read. The series begins with two prior books, Betting on a Cowboy followed by Counting on a Cowboy. The books center around three brothers in Wishing Springs, Texas named Bo, Tru and Jarrod who after the death of their parents find that they are close to losing the ranch due to their father’s excessive gambling debts. Their grandfather whom they effectually refer to as Pops began the ranch decades prior when riding the rodeo circuit, building it as a legacy for the Monahan family. 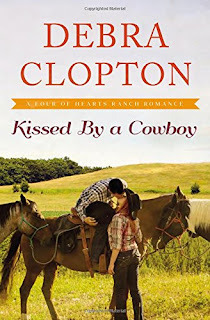 Kissed by a Cowboy finds both Bo and Tru married and riding roughshod over their oldest brother to return to the social scene, looking for a mate in which to share his life on the ranch. Cassidy has a past that carries multiple broken dreams and a marriage along with the home and land she inherited from a beloved aunt whom Cassidy visited many times in her younger years. Now all Cassidy wants to do is start a small fruit stand along with a bread and breakfast. However, she finds that hard to do when she learns her neighbor is someone from her past and she has very little money to live on. 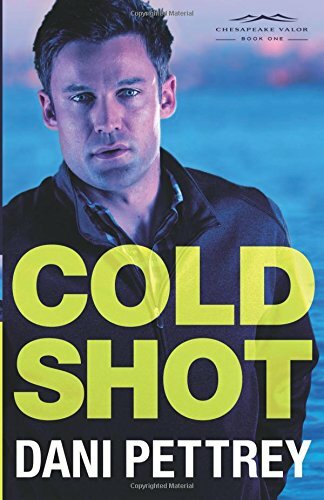 While romance may be the farthest thing from either Jarrod’s or Cassidy’s daily life, there are definitely sparks flying when they are together that even others in the small town notice. The series has been really enjoyable to read and I have no idea if the author plans on carrying the story with further installments. The family not only works together along with getting together for a meal once a week, they care for Pops who has Alzheimer’s. The author depicts the heartache of being caretakers quite accurately and compassionately. Each of the main characters has their own personality, gifts, heartaches and hobbies. I loved how they pulled together to save what their Pops worked so hard to establish for future family members. There is some humor in the pages and readers will get lost in their imaginations when they read about the Monahan’s in Wishing Springs, Texas! Erica Sparks has worked very hard to get her life back on track after a rocky divorce and a battle with alcohol. 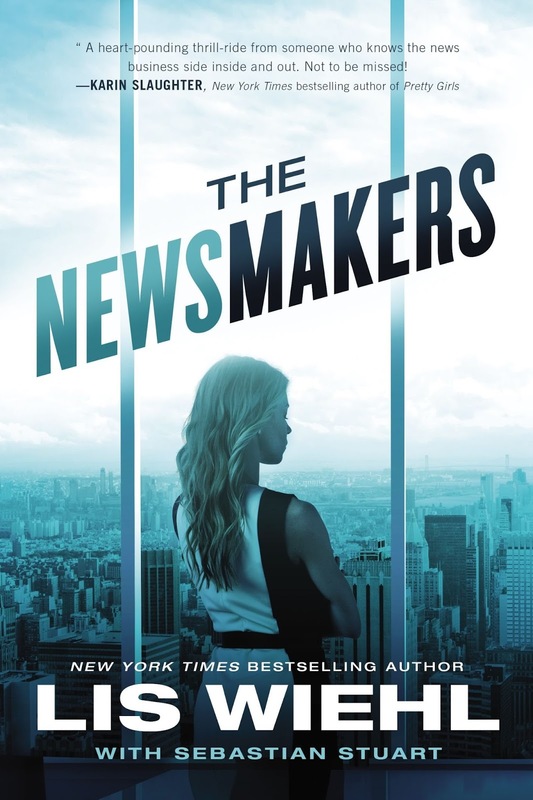 She has just landed her dream job as a field reporter with an up-and-coming network led by billionaire entrepreneur, Nylan Hastings. When Erica meets Nylan the first time she gets a weird vibe from him, but shrugs it off. On her first day, she lands a national story and is off and running to the top of the news reporters heap. She lands an interview with a presidential hopeful only to have tragedy strike during the interview. Again, Erica makes the headlines and the network’s ratings soar. While working on one story; however, Erica begins to suspect a sinister plot. She enlists the aid of one of the IT specialists at the network. He discovers something big, but wants to tell Erica in person. They agree to meet somewhere away from the network, but he never shows up. 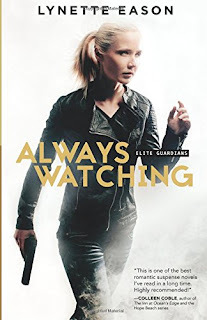 As the plot thickens and attempts are made to scare her, Erica feels more and more danger to the point where she hires a security company to guard her daughter and buys a burner cell phone so her calls can’t be traced. Erica feels she is in too deep now to stop her investigation and she wants justice for the victims of these terrible crimes. What she discovers stuns her and she knows her life is in imminent jeopardy. Can she stay alive long enough to get her story aired? While the story is riveting, there are a few things I need to point out to readers. As this book is from a Christian publisher, there are some things in the novel that I didn’t expect. There are a few curse words in the book, there is a minor character in the story who is gay, which didn’t add to the story, and there is one scene that is sexually suggestive. I wouldn’t expect this content from a publisher of Christian books and think readers should be made aware of these items. Otherwise, the book has suspense, tension, some romance and a great ending. The chapters are short, so readers can speed through the action to the edge-of-your-seat ending. I liked Erica’s honesty about her past as well as her continued struggles as it made her seem more human. 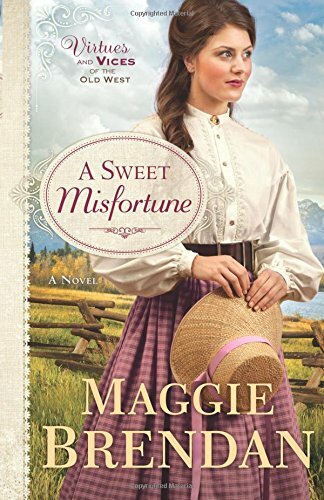 With Western style romance, countryside, and some suspense, what do you have but an outstanding series! Amanda Cabot brings a conclusion to the area and characters we met in the first book called, A Bluebonnet Lake followed by book two, In Firefly Valley. In the conclusion to the stories, we meet once again Gillian Hodge who was at one time a concert pianist. 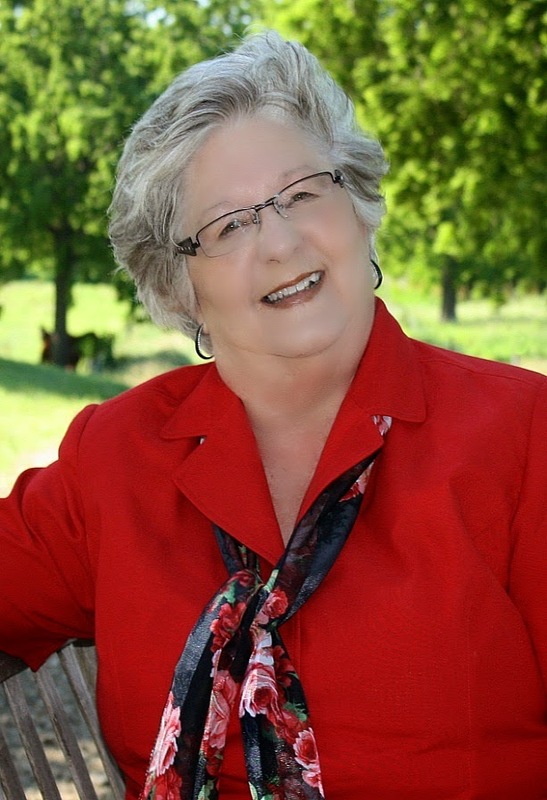 After her tragedy, change brought an end to the life she had known. 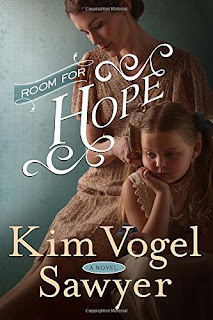 She returns back to her best friend, Kate, to find refuge and unconditional love. On Gillian’s way to get to the retreat area, she witnesses a motorcycle accident. When she finds the motorcyclist uninjured, Gillian offers a ride to TJ Benjamin. The friendship begins to blossom into something more with TJ, but Gillian has been spending time with a local man running for mayor in a nearby town. As I was further progressing into the novel, I was engaged so much because of the tension and personality differences between the two men vying for Gillian’s heart. Most readers, if they read the prior two novels, will be reminded of Gillian’s heartbreak caused by an accident. TJ is a man who has spent a year finishing his wife’s bucket list after she died and now must remain in the local area until his motorcycle can be repaired. Gillian is pulled towards TJ because of his soft and compassionate nature whereas Mike from the nearby town wants to take Gillian back to a life she had once known. He feels she deserves to live again. 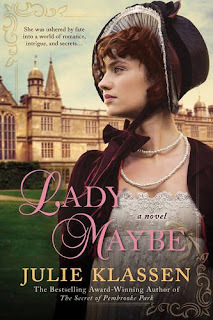 There is so much more to the novel that I would love for you to discover as you curl up on your favorite chair and read the story for yourself. At times I would have loved to grab either man and shake them for different reasons because Gillian was confused and unsure just where her life calling was since it no longer could be in music. 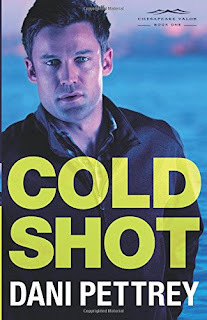 However, I believe Amanda Cabot did a fantastic job of building up the suspense, tension and the thrill of rejoicing at the end of the novel with Gillian’s life. I hope you grab these three books and get lost for a while in a small town in Texas with characters that have real faith, problems, conflicts, prayers, and fun! 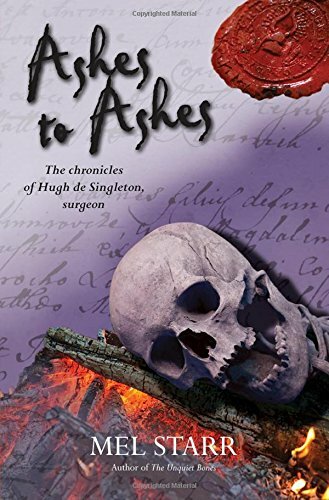 This author pens a wonderful intriguing tale involving spies, intelligence passing between parties from different nationalities and tension with each page. I loved how various characters were crafted in a way readers knew whose side they were on while others were harder to know their stance. There was authenticity in the novel shown not just in the war sequences, but also in how families suffered and how dependent the women were on men to care for them. There were British, French and some German characters who profited from the war and others who paid a horrible price. 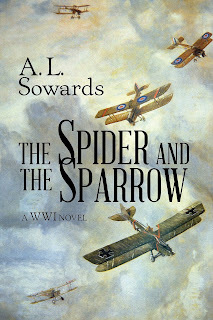 There was a spy whose code name was “spider” and he went into enemy territory in hopes of learning what the enemy was developing in artillery or gas bombs. The “sparrow” was a girl who was helped to get away from a half-brother who beat her for the fun of it. When a soldier saw her plight, he gave her train fare to leave and go somewhere to start a new life. In the book, the scenes are described so well I felt myself being pulled into the moment whether it was when a mother was caring for a sick child or a soldier was coming out of the trench. The novel reminded me of how airplanes were different then. I cannot imagine the loss of life as no parachutes were given to pilots when going into action. The material that was used to craft airplanes made it easy for them to be shot down from another plane or from the ground. There is romance in the book too. I enjoyed the portrayal of how women who married or were married to soldiers reminded them of life. The main two females from different backgrounds were Claire and Evette and the friendship they formed was not unusual for the time. Even though their social standing was from polar opposites, it was the desires of the heart that brought them together as they saw how each desired some fulfillment of happiness when the ugliness of war was over. The last item I will share that I thought was well-crafted in the story was the themes of courage and bravery. The fictional tale depicts how men who might have had a fractured belief in prayer or a God who loves them and listens actually exists and how God did at times answer prayer in ways one expected and in other ways differently. 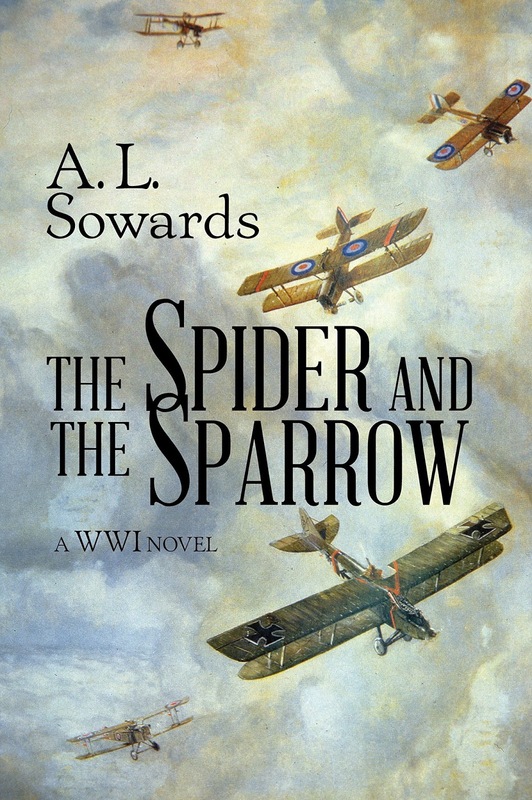 The Spider and the Sparrow is a good, clean read about WWI that I encourage historical readers to enjoy! 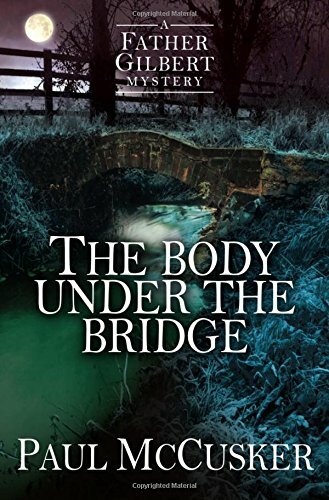 Father Gilbert is called to the scene on the local aristocrat’s property where a body has been discovered under a bridge during revamping of the property. The aristocrat and the man in charge of the local preservationist group are having a shouting match. The shouting match is nothing new as these two man and their families have been feuding for centuries. The body is dressed in clothes from long ago and has been buried for quite some time. A medallion is discovered with the body and that soon leads to the first death. As Father Gilbert is called in to offer advice or give comfort, as more people are killed, he also is subjected to more strange happenings. 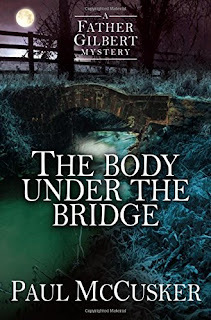 By delving in the pasts of three families, he hopes to discover what is happening in the present and prevent any further murders in his small town. He also faces temptation as a very attractive woman arrives in town to research the medallion as well as the sword and ring that complete the set. She lets Father Gilbert know in no uncertain terms that she is available for more than research. I did feel a little disconnect from the main character as I didn’t listen to the stories when they were on the Focus on the Family radio program. I felt I missed out on Father Gilbert’s history as a detective and his personal history as well as why he left the force to become a priest. That being said, I still enjoyed the story as there is plenty of mystery with Father Gilbert fighting against members of the occult, digging into the past of his church and some of the local families while trying to discover the identity of a killer. Now that he is an Anglican priest, he must use all his former skills as a detective as well as his newer skills as a priest to fight evil incarnate. Father Gilbert is also encountering an evil poltergeist or is he just having another vision? He does have dreamlike visions about certain situations where he feels like the events in the dream are really happening. This story served as a good reminder to me that Satan is a very real and powerful enemy. He revels in luring people into choosing him, but we do still have a choice. So be vigilant, and praise God He has won the war against evil and defeated Satan for all eternity. Change. 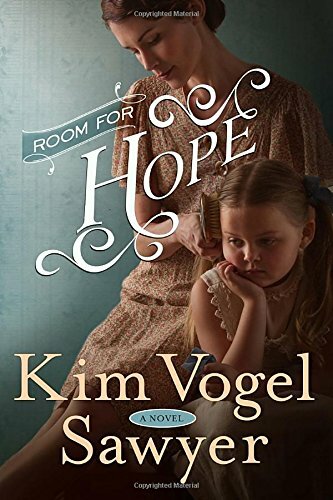 The word alone can bring a host of feeling and thoughts to anyone, and in Kim’s latest novel this is a major theme. In the novel, readers will go back into the early 1900s where people found daily living a harsh reality. Some were able to work as well as had homes in the small town of Buffalo Creek, Kansas. Neva Shilling believed she married a good man in Warren and during their years of marriage she bore a set of twins. Afterwards, Neva could no longer bear children. Some children without parents went to an orphanage. Neva had personal experience with living in one. When three youngsters are deposited on her back door one evening, Neva’s world is rocked! Readers will be drawn in by the emotional turmoil occurring as children and a wife have to come to terms with a harsh, ugly truth. Not only that now Neva must support five children instead of two with just the mercantile to support her, now she is a widow. Gossip in her small town spreads like wildfire and the preacher has his hands full ministering to the needs of individual hearts as well as confronting the community not living according to God’s Word. I just kept turning pages late into the night. I felt the weight of various characters’ concerns, the broken hearts of the children and their uncertainty of a future unless Neva opened her heart to really love them. The other theme was hope that shines brightest during some of the characters darkest nights. Neva’s character is formed into being such a singing example of care and compassion to many who came through the town on trains. The Scriptures are shared boldly and appropriately either when the preacher is preaching, meeting one-to-one or when a character hears the whisper of God’s voice in his/her heart. Throughout the work of fiction at times it seemed very real and lifelike; there is no glossing over wrongs or quick fixes to problems. As we journey with the characters, we see how God can restore hope, trust, and love and redeem those who come to Him with an open heart. I loved how having the Lord close was more important than anything the world has to offer in the book. Please read another wonderful tale filled with so much that will lift up your heart and soul! Wow! What an exciting start to this great new suspense series by Dani Pettrey! Griffin McCray is a former sniper with the Baltimore Police Department SWAT team, but now is serving as a park ranger at Gettysburg. He is trying to forget a hostage situation a few years ago that he was involved in that went bad. He holds himself responsible for the outcome and is still struggling with guilt. While out on patrol in the park he interrupts a couple of men digging for Civil War artifacts. They make a grisly discovery. Griffin calls in Finley Scott a forensic anthropologist to investigate. Finley Scott is a forensic pathologist who does her job to seek justice for those victims who can no longer gain it for themselves. She is also struggling with fear from a prior case that went wrong causing her to be abducted by a psychopathic killer. She has trouble trusting and has panic attacks. A grumpy park ranger is not her cup of tea, but she wants to find a murderer. She and Griffin work together using their unique skill sets to uncover much more than a murder. As attempts are made on their lives, Griffin vows not to let Finley get hurt. His protective nature comes into play and soon they are spending lots of time together. Finley discovers there is much more to Griffin than she thought. Boy, this is one that will hold your attention from beginning to end with great suspense, tension and excitement! I loved that the main characters as well as their friends lived their faith daily and weren’t ashamed of being Christians. They prayed together and individually for God’s protection, guidance and wisdom. I’m already looking forward to book two in the series and watching the characters develop. I very much enjoyed Dani’s Alaskan Courage series and this new series has started out really well. This is definitely one that is not to be missed! C. J. Darlington just keeps getting better! I have read her other books Jupiter Winds, Thicker than Blood, Bound by Guilt, Ties that Bind and her newest Running on Empty. Each novel contains a story that will stir your blood, set your imagination running, and leave you wanting more of her stories. Running on Empty seems like a great candidate for a sequel because I would love to see how a couple of the characters meet with justice! The main characters are two half-sisters Delaware and California, who have nicknames Del and Callie. These two go through a whole maze of danger, trouble, reprieve and more as they are just trying to live day by day. Del is the oldest and has lost her job. She has been black-balled due to a lie people in the small town where she lives believe. One night in the wee hours Del opens her front door to find a dog and Callie. There are those who are cunning, don’t value life and right now think they have gotten away with more than just murder. 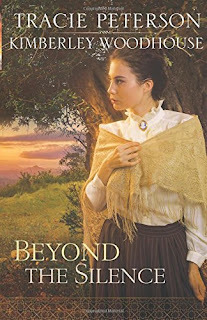 Del is on the fence with her faith, having learned a truth withheld from her till the death of her parents that has skewered her view of God. Callie believes in Jesus and has a childlike faith and a heart filled with love. At times in the story when Del would be hesitant to tell the truth because trust comes hard for her, Callie spills it like water which more than once cause Del to wince. The ending of the book was classic. The tale has mystery, danger, adventure, and themes of trust, brokenness, regret, and hope. That isn’t all the book has to offer, but hours of enjoyment will help you glean what is held in this great story. C. J. Darlington writes some of the most interesting stories I have come across. The characters can be related to, seem real and before one knows it have the reader cheerleading for the good guys! I hope you read all the books this author takes time to write and share with anyone who loves reading. These books can be read over and over again and each time the story will still be fresh, leaving the reader wanting more! 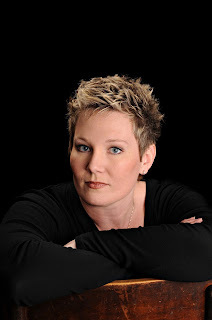 I hope C. J. is already working on her next book whether it is the Thicker than Blood Series or the sequel to Jupiter Winds or perhaps something totally different. Either way I am sure to devour it as I have her others, so join me on the road to some great books! Mercedes Grant is a box office smash in her adventure movies. Both of her parents are also big names in the movie business as well, so she has grown up “in the business”. They have been married and divorced to and from each other twice and love to call Mercedes to complain about each other. Mercedes has received a script to perform in a drama and thinks this movie will really show that she has more depth as an actress than can be seen in her action films. She is on a two-month hiatus after finishing filming her latest action movie and after she received a death threat. She has retreated to her isolated mountain cabin in hopes of gaining some much needed rest and memorizing lines for her upcoming film. She has had a cold/flu that just won’t go away so she decides to see the local town doctor. What he discovers will change her life forever. Luke Parker is a widower with a teenage daughter. He practices in this small town, lives in a trailer behind the office and is barely making ends meet. He knows immediately who Mercedes Grant is the moment she walks into the office, even though she is trying to remain incognito. When he discovers her illness is more than a cold, he delivers the news in person. It is then she tells him about the death threat she received. As her stalker escalates his attentions, Luke becomes more protective of Mercedes and a romance blooms. With her health undergoing life-altering changes, what does the future really look like for Mercedes? Negatives: I thought the romance between a movie star and a small town doctor wasn’t really plausible. The differences in the beliefs of the main characters would seem to me to prohibit a lasting romantic relationship. Positives: I liked the suspenseful story idea, the setting was neat and I loved her two dogs. The ending when the stalker is revealed was a twist, and there were some definite tension-filled moments in the story. I also liked Winona, Luke’s nurse who is still working at age 90! I just love the setting for this series on the coastline of Maine! The author’s vivid descriptions make me want to visit this part of the country. This is a story that could be read as a standalone. There are some characters from the first book that make an appearance in this story, but are not really relevant to the plot of this second book. Kevin O’Connor is a game warden for the state of Maine. He is divorced with an 8-year-old daughter, who has custody of as her mother wanted nothing to do with her. 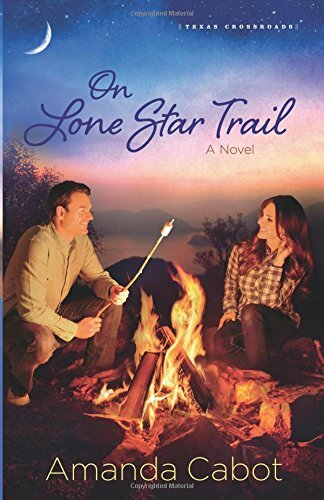 He had the love of his life, Mallory Davis, break his heart be leaving town after a traumatic event in her life. His parents always wanted him to be a doctor, but Kevin always wanted to be a game warden. His parents think Mallory Davis is the reason he didn’t become a doctor, but he knows she is the one who gave him the courage to follow his dream. After fifteen years, Mallory is back in town and calling him for help. Kevin’s already strained relationship with his parents gets downright nasty once they learn Mallory is back in town. He guards his heart to keep from making the same choice of fifteen years ago, but he feels wonderful when he is with her. Mallory Davis is a widow with an almost 15-year-old daughter, trying to make ends meet by making jewelry. She receives a phone call from her father, telling her of his love and to find her mother. Then the call ends abruptly. She and her father have a strained relationship and don’t talk to each other often, but how can she find her mother when her mother has been dead for fifteen years? She calls her former boyfriend, Kevin, and asks him to check on her father. What he finds brings Mallory back to town. While there she discovers what her heart has always known…she still loves Kevin. However, more questions arise and more threats are leveled at Mallory. Who is out to hurt her? The story has easy dialogue to follow, short chapters, clues to follow and tension to ramp up to the exciting ending! Of course, there is romance thrown in as well as faith and wanting to do things right the second time around. Second chances and forgiveness are seen as well. I just loved how Kevin put Mallory’s safety and needs before his own, even when she had hurt his heart so much in the past. He still put her first because that is what God would want him to do. I also thought it was a cool touch to have Gwen Marcey make an appearance in this story. I’ve read and really enjoyed both books in that series as well. Book three, Twilight at Blueberry Barrens, is being released in September 2016. The story starts out in the year 1890 in California where a young woman is being attacked and her young son hears her screams and comes upon the scene. Then, readers are taken to another scene a year later but in a different home where a young woman is saying goodbye to her grandfather. The young woman is Lillian Porter who was raised by her grandparents after the death of her parents. However, after the death of her grandmother, her grandfather has become mean and won’t allow Lillian any freedoms. Yet, Lillian knows she is doing the right thing by leaving the home she was raised in to travel to California to become a nanny. Woody is the father of a young boy Jimmy. Jimmy is the young boy who witnessed the crime against his mother. Since that day, Jimmy hasn’t spoken one word and his father is at a loss as to what to do. Woody is ostracized by the town; the gossip about him is vicious. It is in to this type of animosity that Lillian is surrounded by the moment she steps foot off the stagecoach. From this point forward, I believe other readers like me are going to enjoy the relationship that develops between Lillian, Jimmy and the housekeeper. I enjoyed reading the wrestling of the heart and soul of the characters while learning how to forgive, move forward and forgiving the wagging tongues. There is also a man who is not treated kindly by the town because he is simple-minded and the sweetest kind of man that befriends Jimmy. The various problems that Woody and his household endure will either deepen their faith or not. I loved how the adults at night would gather around the table to have a Bible study and how Lillian just loved to have her many questions voiced possibly answered during their time around the table. Lillian lived with a grandfather whose heart appeared to have become so hardened after the loss of his wife. I enjoyed too how Lillian kept reaching out to her grandfather though he stated he wanted nothing more to do with her or read her letters. Beyond the Silence is a very heart-touching, adventurous story and truly an entertaining novel! Instead of teaching people to study the Bible inductively, beginning with marking words and letting the text speak for itself, the sample of his way in having people study is the like placing the cart before the horse. How? By asking application questions before students have had time to mark recurring words or phrases, look up the original word and understand the meaning based on the context of the passage! The word picture of what I am attempting to convey is that a translation and a paraphrase would be like an unequaled or unequally yoked marriage. Have you ever seen someone utilizing animals for work on a farm, travel or other means? Do they put two of the same type of animals together or two different kinds together? Can you imagine the difficulty of a driver yoking together to plow his fields donkeys with some dogs? Would it work? You and I both know it wouldn’t. What ends up happening is a very confusing rendition of the Bible. Now, regardless of the author’s intentions, my great concern is that people will become more confused and misguided. The other concern is how this “version” can cause more infighting within the church than there already is plus it doesn’t help address the real need for Biblical literate believers. We need to disciple and teach the Word. If we don’t know an answer to a question given, then we go and find the answer, understanding there are things we simply do not understand this side of heaven. So please understand my heart has a strong caution against using this version. I can list even more problems I found, but I don’t want to write a review of that nature. Just know that the other versions mentioned can be looked at more closely and understood better by simply reading the introduction so you know how that Bible has been translated and become a student of the Word. In Scripture Paul encourages us to be like the Bereans, “Now the Bereans were of more noble character than the Thessalonians, for they received the message with great eagerness and examined the Scriptures every day to see if what Paul said was true.” (Acts 17:11). By the way, the life of a student or disciple of Christ is a lifelong pursuit. My rating is 1 star. Recently I decided to participate in a study based on this Breakthrough Version. Since I am very passionate about studying the Word and encouraging others to do so, I joined the group. Now, for the protection of the website and people involved in the study, I will not divulge where this is taking place even though I have withdrawn. Let me stop and say right here that removing myself from the group was to alleviate the stress I continued to feel when studying this version as well as for other reasons I will share momentarily. While I commend the author for being diligent in studying, where is the accountability or peer reviews, comments or feedback? 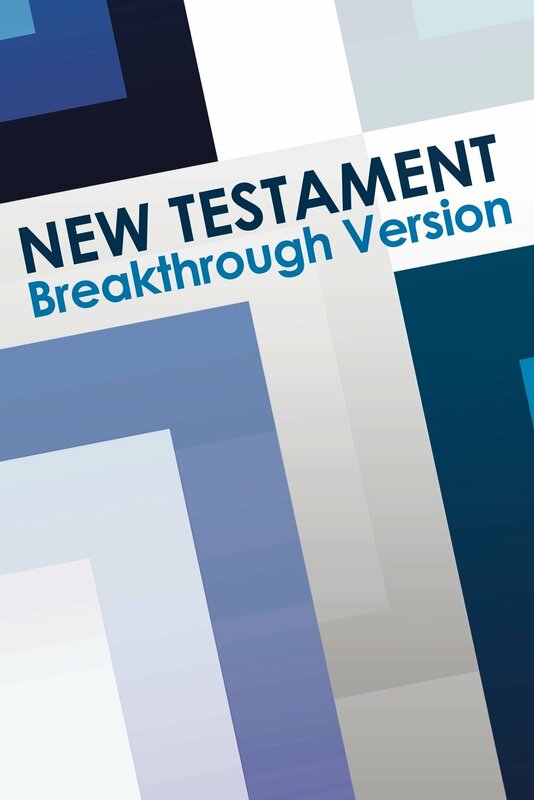 Before I got a copy of this Bible, I went to the author’s site: http://www.breakthroughversion.com/. At first, it indicates that the Bible Version Report Card shown right on the home page appears to be very biased. Why? When you go to the website listed by the grades http://bestbible.net/, scroll to the bottom of the page and you will see the author is himself the one who did the grading. The original point of the study was to do a comparison with our Bible version(s) and then with the Breakthrough. While in the study in portions of Romans we were assigned to do, there were notes on how the author translated the words. However, there are no such translation notes in his version so people can know how he chose the words he inserted or changed or a Bibliography so others can follow if they so choose to see the path he took to come to the conclusions he did when writing. When I got the Bible, the only thing in it was a list of words he changed. For example, for the words “faith” and “believe” he uses one word “trust”. Instead of letting the context determine why the words were chosen by the translators, he believes simplifying it will be easier with one word. I highly disagree with this form of writing when one is a noun and the other a verb. A person reading his version wouldn’t notice the difference and it is really confusing. Hannah Rogers is desperate to get her son back. She was forced to live in a home for unwed mothers and after giving birth, her son was basically held hostage until she could afford to pay for his care. The landlord, however, keeps raising the rates. Hannah is forced to go back to the Mayfield home and ask for her job back to earn the necessary money to retrieve her son. While on a journey to the country with the Mayfields, they are in a carriage accident. While recovering from injuries, mistakes are made entrapping Hannah. She knows she is doing wrong, but how else can she get her son back? While contemplating that situation, she is also trying to sort out her feelings for two men. 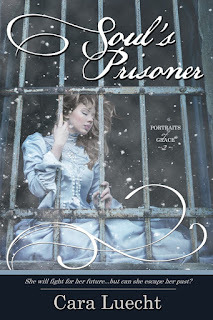 She might set one free only to discover the other man holds no love for her. Negatives: Please be aware that the publisher for this book is not Bethany House, who has previously published some of this author’s books. 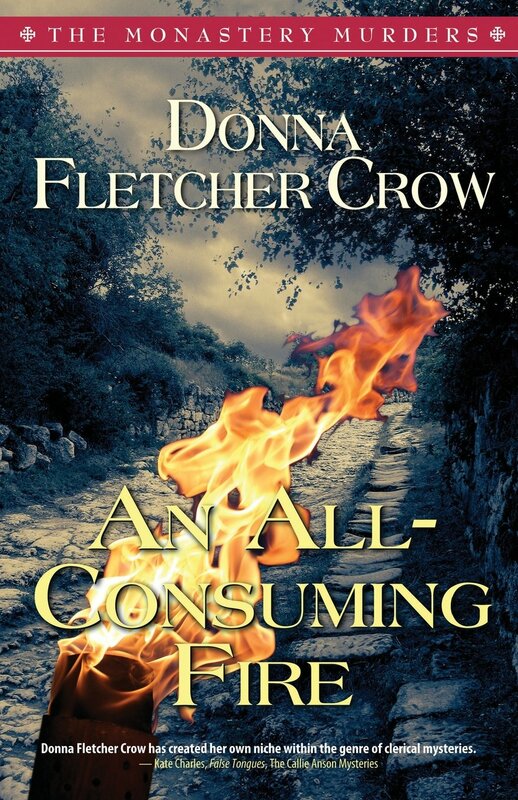 This is not a Christian publisher and that is evident in some of the content of the story. The intimate scenes are more descriptive than in her other novels and add nothing to the storyline. The infidelity of characters in the book is just too much. There are a few brief references to God by Hannah, but not like in the author’s other stories where faith is more evident in the main characters. Positives: The description of this time period seemed spot on to me, and it is a period I enjoy reading about. I liked the writing style of the author. I also liked the one character who did speak of God the most, the housekeeper, Mrs. Turrill. She speaks of God’s ability to forgive any sin; there is no sin that is so great that He cannot forgive. She also shows the love of God to Hannah and Becky. She tells them that God loves them and that they are valuable in His sight. 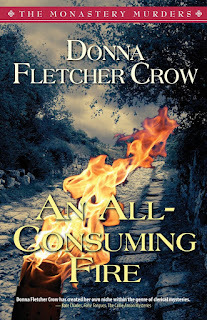 The author’s next book will be published by Bethany House, so I am hoping there will be more of a faith focus.